Help your students understanding the difference between too and enough! 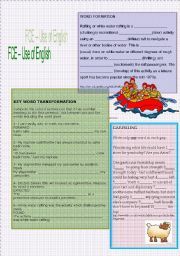 Use of English exercises for FCE/B2 students. Key included. Hope it´s useful. 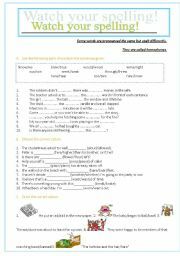 This worksheet consists of a brief grammar review of past simple, adjective degrees, past simple and question-tags. 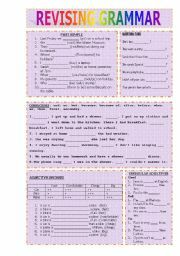 Cut all cards apart; put them face down in the middle of the table; students take turns selecting one card and asking their partner a question using the present perfect. 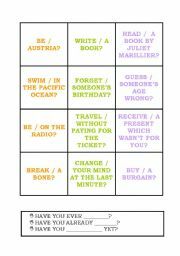 The rectangular card can be used as a prompt to help them ask the question. 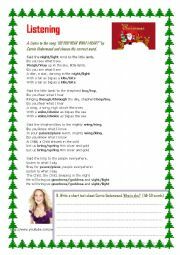 Christmas song - Do you hear what I hear? Good practice for beginners. It includes reading, t/f, questions about the text, the verbs to be, to have got, there to be and to like plus a writing activity. 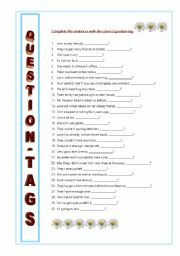 Exercises on question-tags. Hope it´s useful for some of your students. 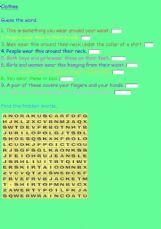 This activity is intended to help students to prepare for KET. One student asks the questions according to the prompts and the other answers them based on the information given. The students ask each other questions based on the prompts and answer them according to the information given.Very good for KET students. 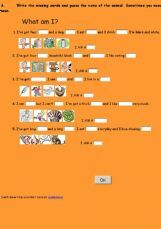 This is a good activity for young learners to learn vocabulary or practise what they already know. 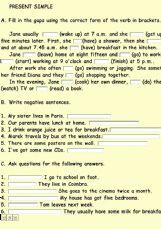 Grammar practice: Present simple - affirmative, negative and interrogative sentences. Ket practice activity. Students recognize and choose vocabulary used in a specific context. There´s a gap filling to understand the difference between however and therefore. 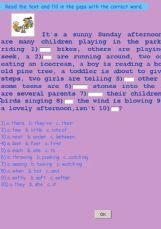 There´s also a listening activity to understand that however can be used with a different meaning from the previous one.